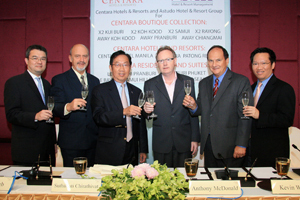 Thai-based hotel chain Centara has acquired the Astudo group in a bid to expand its boutique property range. The deal, effective from 1 April, will see Centara take on Astudo's stock of 12 hotels that include seven resorts in Thailand, and five hotels that are currently in the process of being built. Gerd Steeb, president of Centara, said: "We have been looking for an opportunity to expand our Boutique Collection brand and many of the Astudo properties are a perfect fit." Centara has a range of resorts in Thailand, Egypt, the Himalayas and the Phillipines. Steeb added: "In addition, the majority of the resorts are in locations where Centara operates larger four- and five-star properties, so these excellent synergies will deliver significant cost benefits to the overall operation."